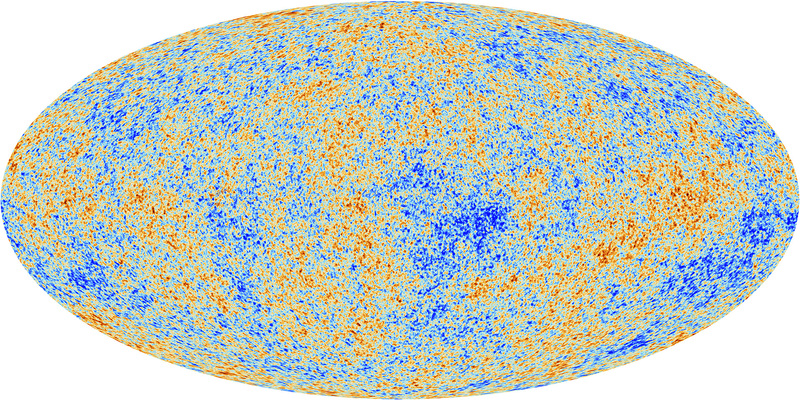 Studies of the cosmic microwave background (CMB) have provided measurements of some of the most fundamental properties of the universe itself: its mass, composition, and geometry. The CMB is relic microwave radiation that was produced 13.4 billion years ago, shortly after the Big Bang, and has been traveling toward us nearly unperturbed. Although its temperature is a highly-uniform 3K blackbody, tiny temperature fluctuations at the level of 1 part in 100,000 encode information about the very early universe, as well as the evolution of structure in the universe since that time. Although a series of ever more precise measurements of the CMB has been ongoing for decades, this program of experiments is far from over. Current and future CMB experiments are focused on measuring the polarization of the CMB’s microwave light, and high-precision polarization maps enable several remarkable measurements. For example, a period of massive exponential expansion of the universe, called inflation, was believed to have occurred at timescales of 10^-32 s after the Big Bang, and gravitational waves produced during this period would imprint themselves as an extremely faint curl-like pattern in the CMB polarization, called B-mode polarization. Neutrinos, which we now know have tiny but non-zero masses, also show up in the CMB by reducing the amplitude of small-scale fluctuations in the CMB in proportion to their mass. Ultra-precise CMB measurements thus can provide measurement of the sum of the neutrino masses. These are just two examples of the myriad of measurements possible using the next generation of ultra-sensitive CMB experiments. 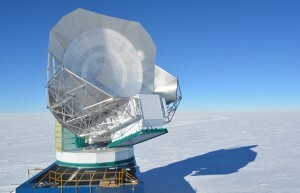 One of the latest examples in this sequence of more and more sensitive CMB cameras is SPT-3G, installed on the South Pole Telescope in Antarctica. Two weeks ago, I returned from 2.5 months installing an extensive upgrade to the detectors, optics, and readout electronics on the telescope. Analogous to a microwave oven, CMB microwaves are absorbed by water vapor in the atmosphere. This and the need for a stable atmosphere pushes cosmologists build experiments in extreme environments like the South Pole and Chile’s Atacama desert. Typical winter temperatures of -60C and 6 months of continuous darkness at the pole preclude access to the site during all but a 3-month summer season of intense work. With SPT-3G, we deployed several new technologies that will enable more sensitive CMB measurements. More detectors means greater sensitivity, so SPT-3G uses a “multichroic” pixel architecture, in which each pixel is sensitive to three different frequency bands near 90 GHz, 150 GHz, and 220 GHz, thereby packing more detectors into a fixed focal plane area. A new optical design also means that there is more area in the focal plane to fill with detectors. SPT-3G now has ~10,000 detectors compared with ~1,000 on the camera it replaced. Having deployed these upgrades, the austral summer season is now winding down and we are preparing for another long winter of continuous CMB observations.